BlackBerry phones will have NFC this year | BlackBerry Blast! According to RIM's CEO, BlackBerry devices will include Near Field Communication chips (NFC) in them in 2011. NFC chips allow mobile payment systems and most carriers, banks, cell phone makers are rushing to get this technology in their phones. 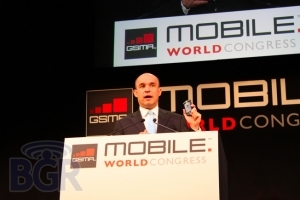 Co-CEO Jim Balsillie on Wednesday, at the Mobile World Congress, that "many, if not most" BB devices will have the technology in them this year. Google has already showed of its NFC technology in its Nexus S phone, and the rumor is that Apple will debut the technology in its next version of the iPhone. What do you think? Are you looking forward to being able to pay for goods with your phone?